The family-run hotel provides an atmosphere that makes you feel good. 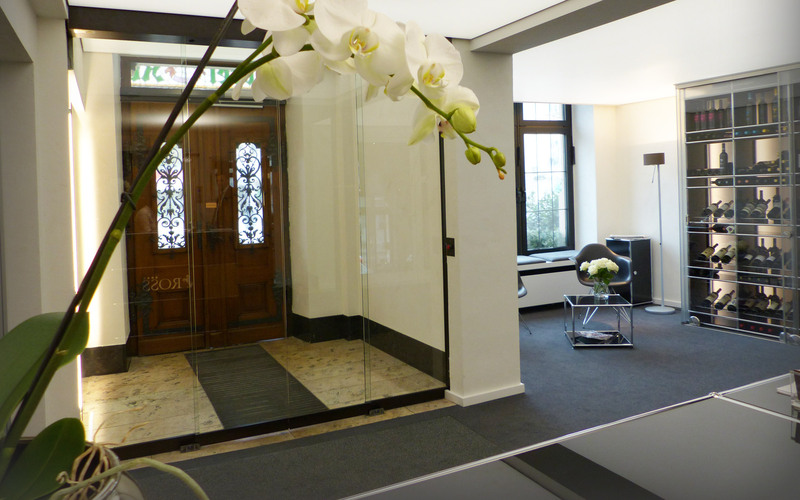 Modern convenience and technology combined with the charm of a more than two-hundred-year-old building. 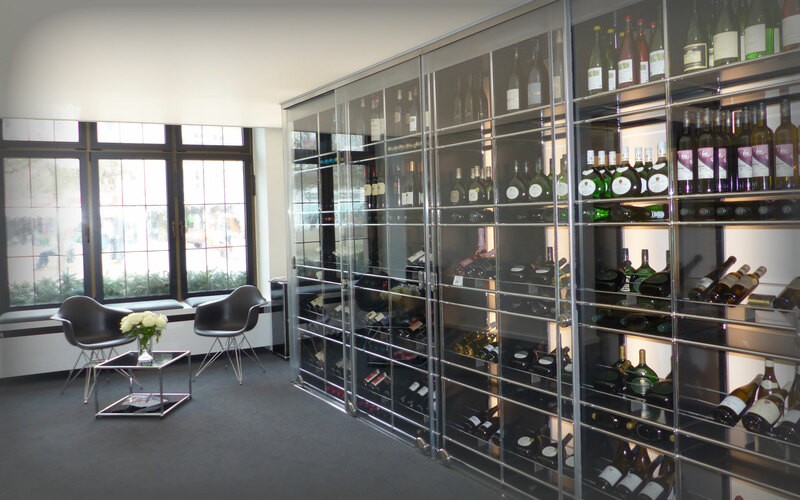 It provides indoor pool and sauna overlooking the roofs of the city, a restaurant with regional and international food and a bar with an extraordinary selection of wines. Located adjoining to the pedestrian area. Parking facility (public underground parking – reduced parking fees) adjacent. 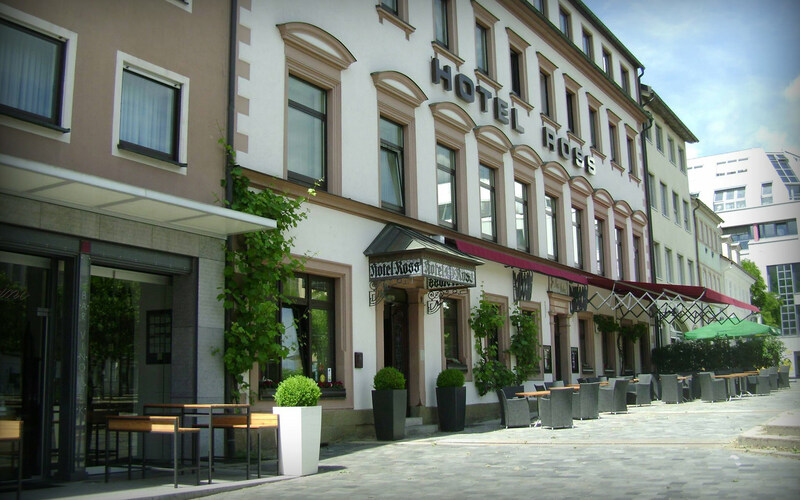 One of the oldest and leading hotels in the Franconian industrial city of Schweinfurt. The hotel was built in 1806 and has been owned and operated for three generations by the Süß family. 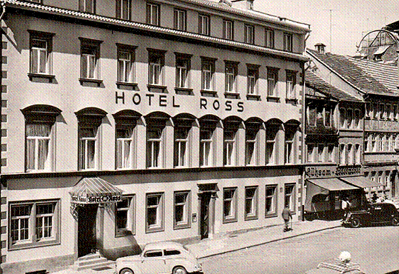 The hotelier Julius Süß bought the inn “Rotes Ross” in 1918 from the family Krackhardt. 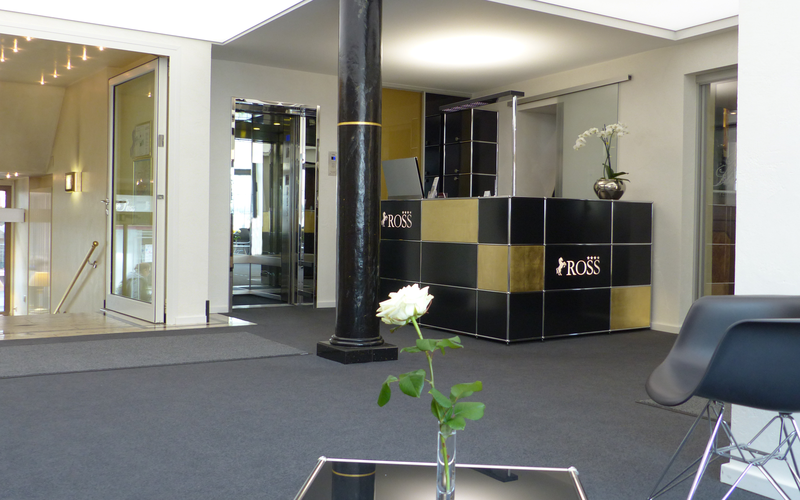 Due to continuous modernization and expansion it has become the four star “Hotel Ross”. 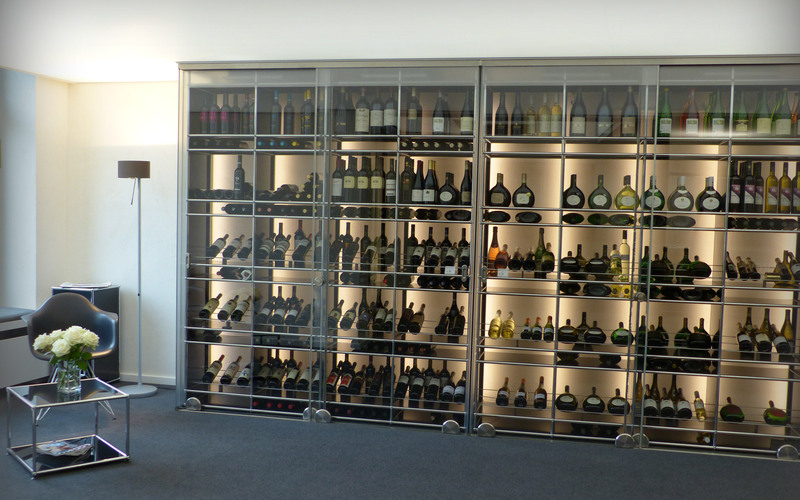 Five block heating stations and a sortec facility to aircondition the rooms are new and environmentally friendly. 46 non-smoking rooms. Four different types are available: business, comfort, standard and economy. 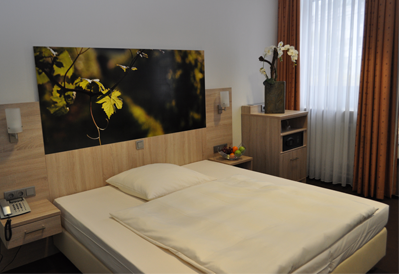 The difference is mainly based on the spaciousness ( 16 – 40 square meters ) of the rooms. Room amenities: high speed internet access ( wireless ), air conditioning, hairdryer, minibar, safe, telephone, flatscreen-tv. Enjoy our Franconian as well as international cuisine both in our Restaurant „Ross Stuben“ or on our medtierranean terrace in summer.  Our Vinotheque „Rossino“ offers a wide selection of famous regional & international wines. 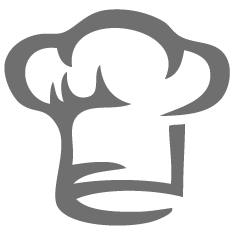 Our chef will be happy to welcome you! Four different types are available: business, comfort, standard and economy. Room amenities: high speed internet access ( wireless ), air conditioning, hairdryer, minibar, safe, telephone, flatscreen-tv. Welcome to the „Ross Stuben“. 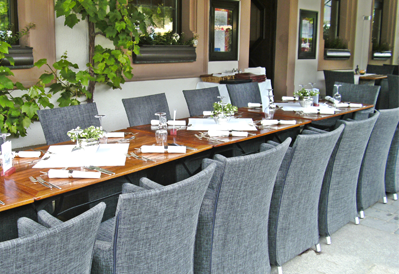 Enjoy our Franconian as well as international cuisine both in our Restaurant „Ross Stuben“ or on our medtierranean terrace in summer. Regional and seasonal products are most important for us.Our chef will be happy to welcome you! hot meals available till 10.00 pm! 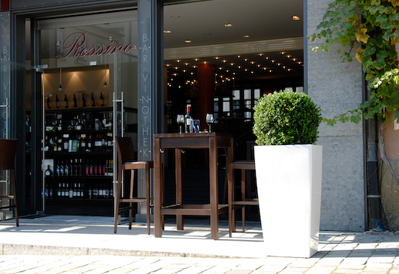 Enjoy your digestif at the „Rossino“! 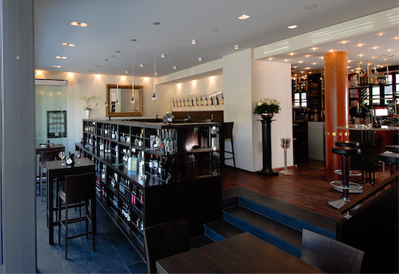 Our Vinotheque „Rossino“ offers a wide selection of famous regional & international wines.